Are you currently planning or thinking about your next vacation? Are you looking for a unique vacation opportunity? An out-of-the-ordinary vacation experience for the mind, body, and soul? 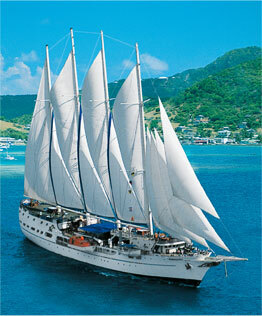 If so, you need to consider a sailing adventure vacation from Sailing Ship Adventures. Why settle for an ordinary, run-of-the-mill cruise or vacation when you can set sail on an adventure that will help you feel the wind in your hair, taste the sea spray in the air, experience marine life and explore engaging, ports of call? Every sailing adventure vacation we offer is a unique opportunity to intimately experience wind, wave and marine life like you never have before. In addition to traditional cruise activities like dancing, dining, and evening entertainment, a sailing adventure trip from Sailing Ship Adventures offers a wide range of activities unavailable on most commercial cruises, such as swimming with dolphins, fishing, scuba diving, snorkeling and wind surfing. Additionally, a sailing adventure vacation from Sailing Ship Adventures will give you the opportunity to visit smaller, more engaging ports of call that large cruise lines can't access. We offer a sailing adventure vacation to suit almost any taste and interest. For more information on our fleet, or to start planning your sailing adventure trip, call Sailing Ship Adventures at 1-877-882-4395 or contact us online. Our Fleet featuring more than 100 sailing vessels, including full-rigged ships, brigantines, barkentines, schooners, and smaller vessels, provides unique opportunities to experience the magic and adventure of the open sea. This range of sailing ships, from the most luxurious to the more spartan, offers you the widest range of adventure sailing trips and sailing cruise vacations available. We even offer adventure sailing trips where you can learn as a sail trainee, serving as a deckhand, taking the helm, raising and lowering sails, and taking part in the watch rotation. For more information on our fleet, or to start planning your own sailing adventure cruise vacation, call us at 1-877-882-4395 or fill out this online contact form.